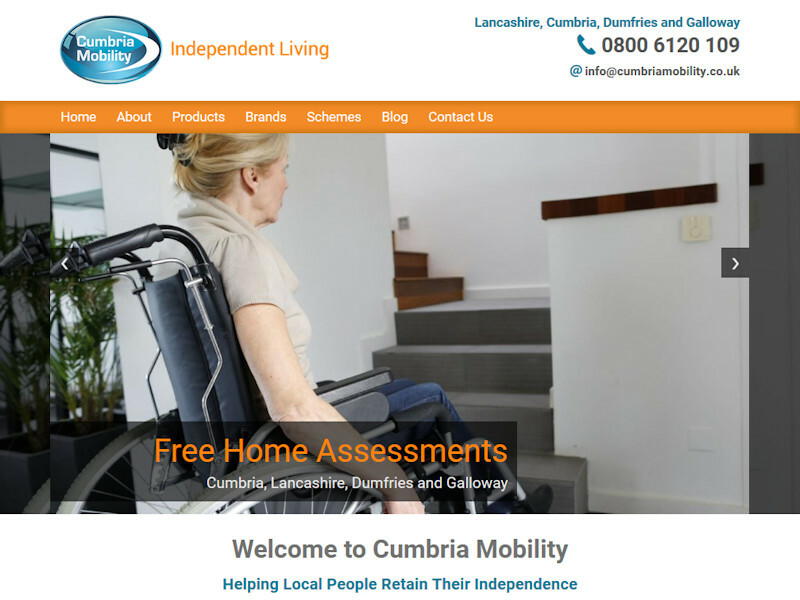 Replacement website for mobility equipment specialists working throughout the North WestEasierThan Website Design have numerous clients in and around the Morecambe area and we'd love to add your business, organisation or personal website to our portfolio. With more than 15 years working as web developers, we offer Affordable Web Design with an emphasis on functionality, usability and achieving your desired outcomes. Whatever you require, whether you want a Business Website Design to generate new enquiries or showcase your work, are hoping to set up an on-line shopping website or maybe need Third Party Website Support or Search Engine Optimisation for an existing website, we can help to ensure the internet works for you. All of our Website Design solutions include Domain Name Registration, website hosting and Email Addresses as standard, charged for at a favourable rate on an annual basis. For further details about our approach to web development, take a look at our About Us and Functional Web Design pages. A number of Testimonials are also available, along with additional Example Websites. If you're based in the Morecambe area and are after reasonably priced web design services, why not Contact Us to discuss your requirements? Bespoke proprietory replacement for bloated, difficult to maintain WordPress site. EasierThan Website Design offer website design and support to companies, individuals and organisations in Lancashire and more! We also have many satisfied customers throughout the wider Lancashire area.